Berlin, the German capital, remains alive in the 21st-century landscape as the city that has seen and borne it all. Competing political ideologies manifested themselves in the urban landscape of the city whilst radical design movements such as Bauhaus and Modernism played an important role in shaping this landscape. The construction of the Berlin Wall brought about a physical divide to the city, whose aftermath is evident till date in the varying physical attributions of East and West Berlin. 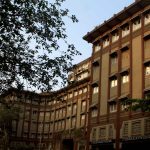 In the revolutionary 1920s, the avant-garde in architecture, along with other art movements, were experimented with by prominent architects like Bauhaus founder Walter Gropius, as well as his Modernist contemporaries Alvar Aalto, Mies van der Rohe and Le Corbusier. The second phase of an architectural revolution in Berlin only came about after the fall of the Berlin Wall, wherein post-modernist architects such as Frank Gehry, Rem Koolhaas, Richard Rogers and Aldo Rossi created contemporary masterpieces that presented themselves as catalysts for Berlin’s entry into the 21st Century. Designed by Ar. 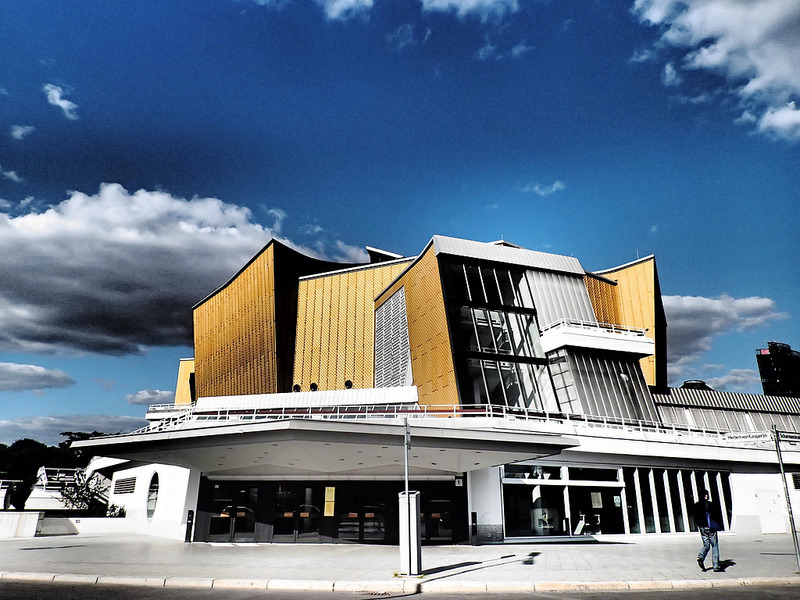 Hans Scharoun in 1963, the Berlin Philharmonic is one of the structures that underwent a complete revamp after WWII, owing to the complete destruction of its earlier form. The organic form of the building has been designed in a manner that it amplifies sound from the centre and therefore, the daring angles and swooping tent-like structures seamlessly blend into their surroundings. The facades of the Berlin Philharmonic, clad in a yellow-hued metal material, have been angled and curved to mimic the “soft” aesthetic of the forested landscape. The interior spatial design works in tandem with the external curvy forms to create a playful yet contained aesthetic that amplifies the contemporary nature of the complex. 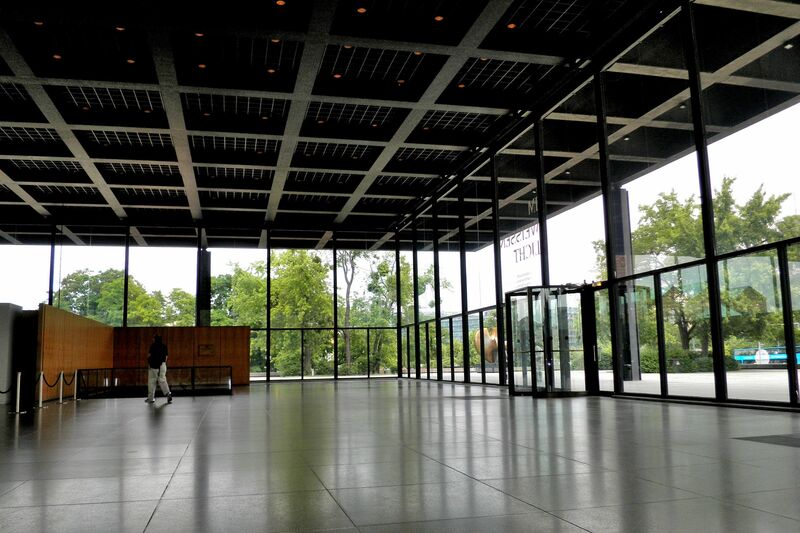 The Neue Nationalgalerie is a minimalist masterpiece designed by the luminary of modernist architecture, Mies Van Der Rohe. His long-term preoccupation with creating fluid, open spaces culminates in the design of the glazed upper pavilion of the gallery. Completed in 1968, the surroundings of the building in Berlin rapidly changed over the years due to the fall of the Berlin Wall, yet the timelessness of the structure never called for any refurbishments. The pavilion stands on the esplanade which forms the base or platform. It is located at street level and the design establishes a strong connection between the indoors and outdoors, with a mere glass skin enclosure. With its steel roof and gracefully austere architectural vernacular, the Neue Nationalgalerie stands as an icon of modernism. 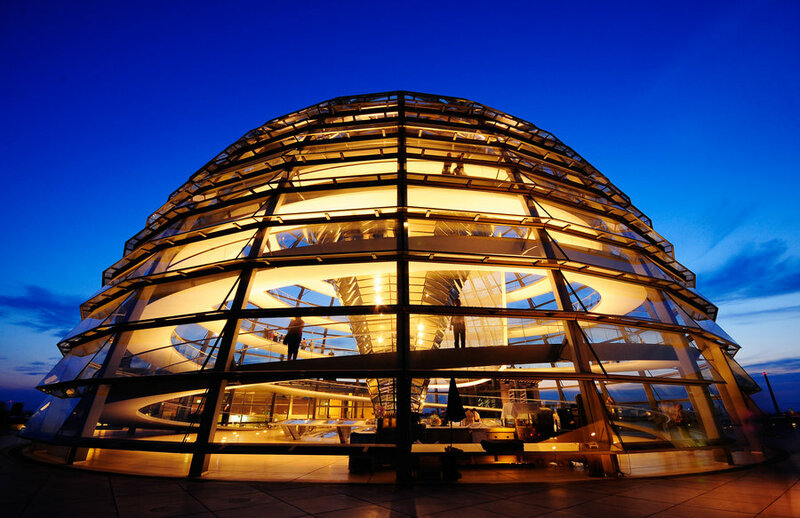 Designed by renowned architect Norman Foster, the Reichstag Dome is a dome or cupola that sits atop the German Reichstag building in Berlin. 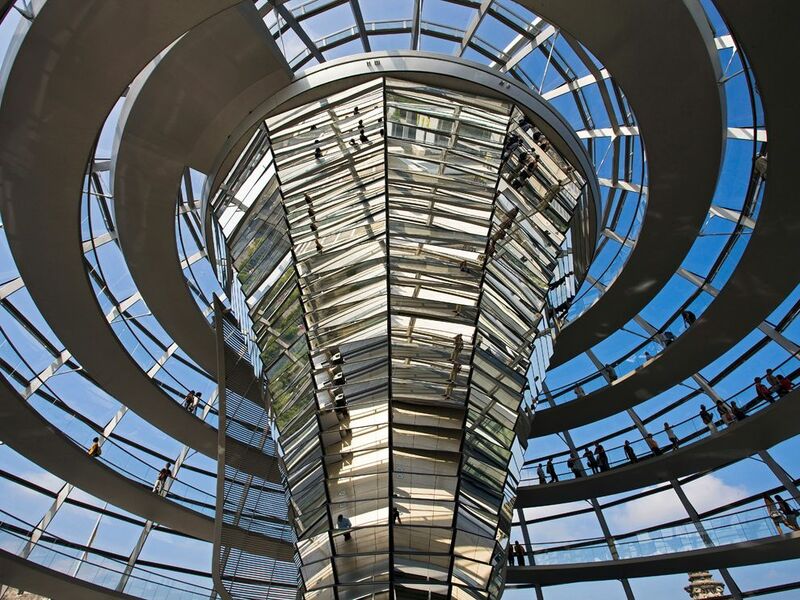 Having borne the brunt of multiple political ideologies in the past, the futuristic and transparent design of the Reichstag dome symbolizes a united, democratic Germany. Apart from its deeper symbolism, the glass dome is known for its environmentally friendly design and features. 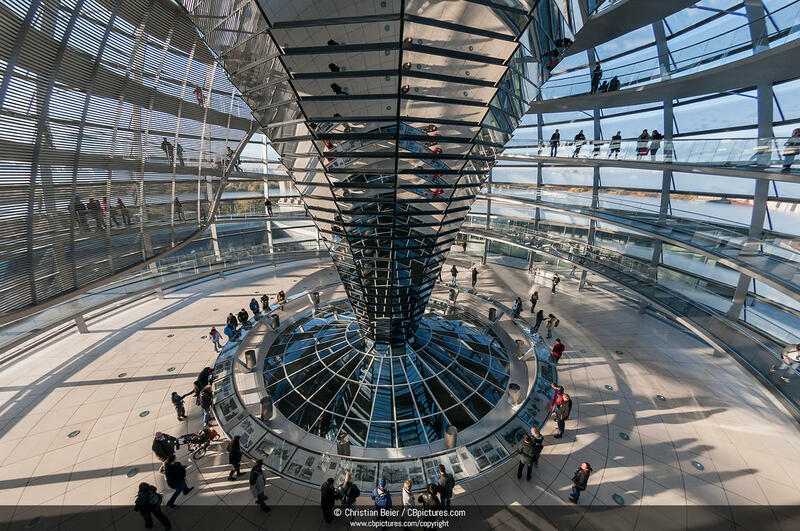 Clad in clear glass, the helical ramp along the outer edges of the space helps define the dome-shaped volume and leads to an observation deck that provides a vantage point for visitors to look out on the surrounding Berlin cityscape. At the same time, skylights at the base of the cupola open into the debating chamber below, providing a visual connection to the government at work. An inverted cone of mirrored panels in the centre of the dome reflects daylight down into the debating chamber, and also supports ventilation in the building, exhausting hot air through the top of the cupola. The DZ Bank Building is a mixed-use building comprised of a commercial and residential component. Both components have their own independently scaled façades, such that the proportions of each are appropriate to the immediate urban area within which they each exist. 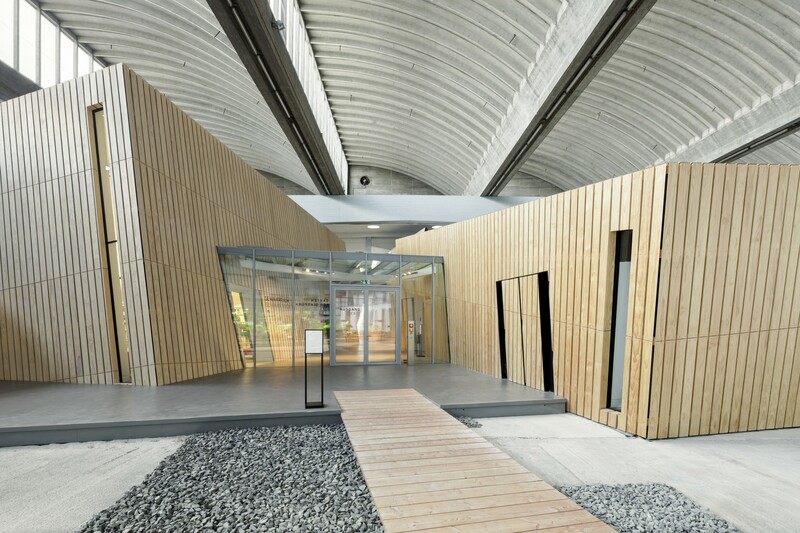 The dynamic nature of the building’s form and materials help integrate the two different building uses in a seamless manner. Gehry Partners have the ensured the creation of a structure whose grandiosity can complexity remains invisible until the user steps inside. 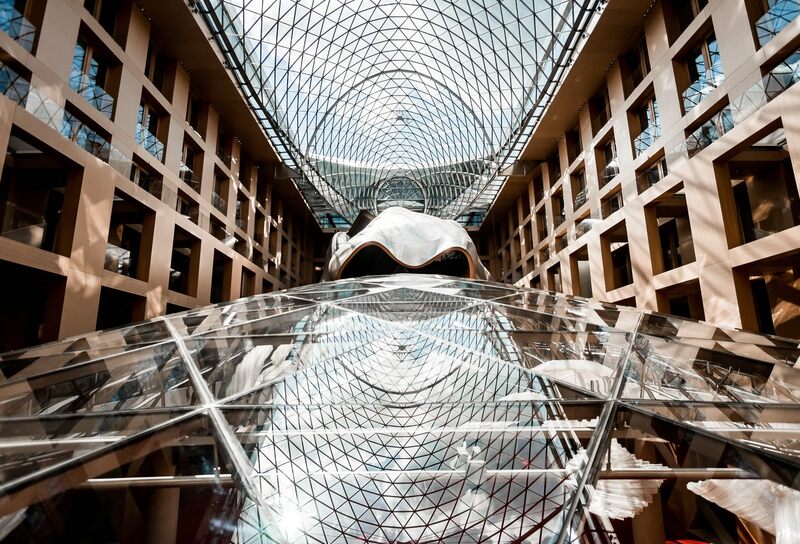 The building has a large interior atrium with a curving glass ceiling and a curving glass floor, offering maximum natural light to the commercial offices located around the atrium. The organic form located at the centre is the building’s primacy conference hall, which is clad in stainless steel on the exterior and wood on the interior. 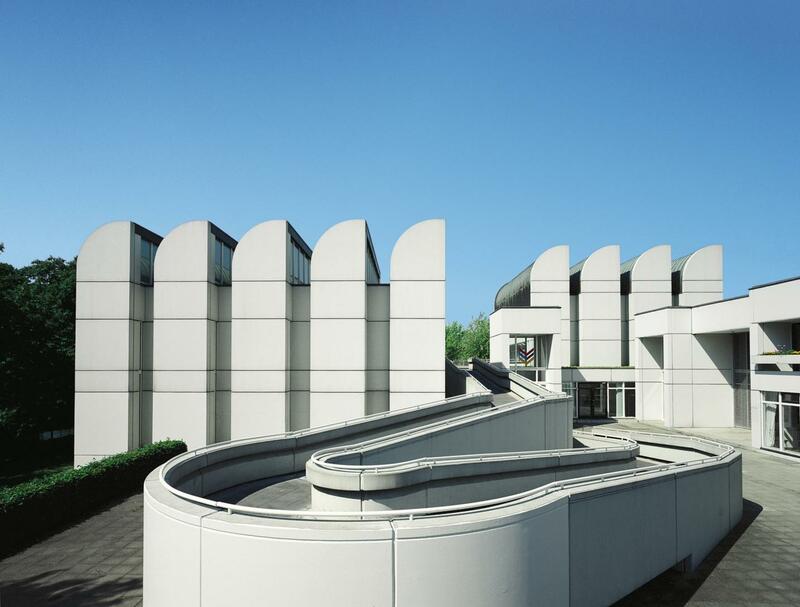 The Bauhaus Archiv-Museum, designed by Walter Gropius, is a design museum dedicated entirely to the Bauhaus School of thought, also spearheaded by Gropius himself. The Bauhaus movement has become an integral part of Berlin’s history owing to its ideologies and members. The complex consists of two double-storey structures that are both accentuated by skylights facing the North. 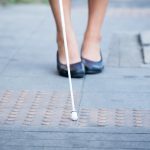 Though the design of the museum is simple, there are pathways and corridors that dip below ground level and thereby present the user with an experiential walk throughout the museum grounds. 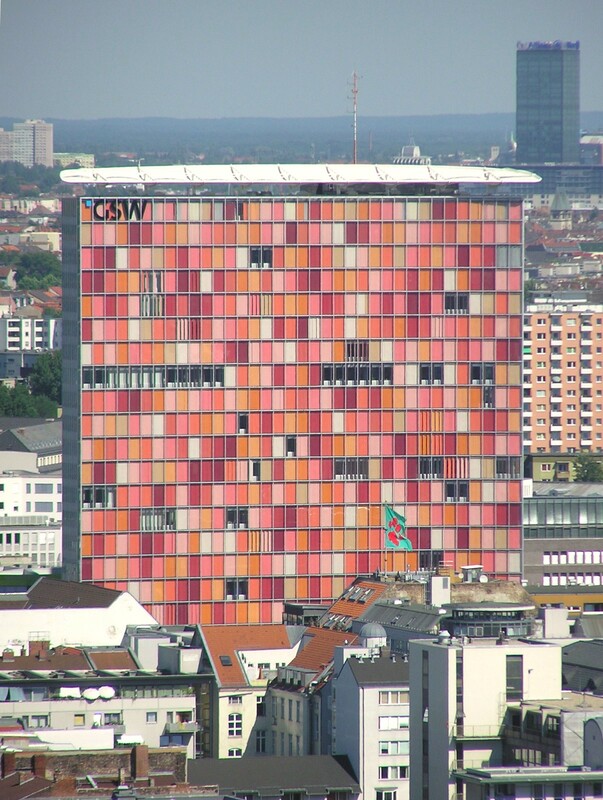 The GSW Headquarters Building was the first skyscraper to be built in Berlin after the fall of the Berlin Wall in 1989. 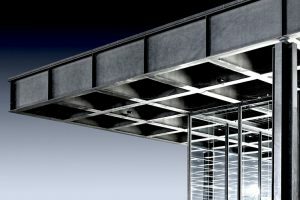 Fragments of the city have been collected and integrated into the design of this structure, for which innovative concepts of mechanical engineering were implemented. The GSW headquarters is an excellent example of sustainable architecture employing energy-conserving construction techniques. 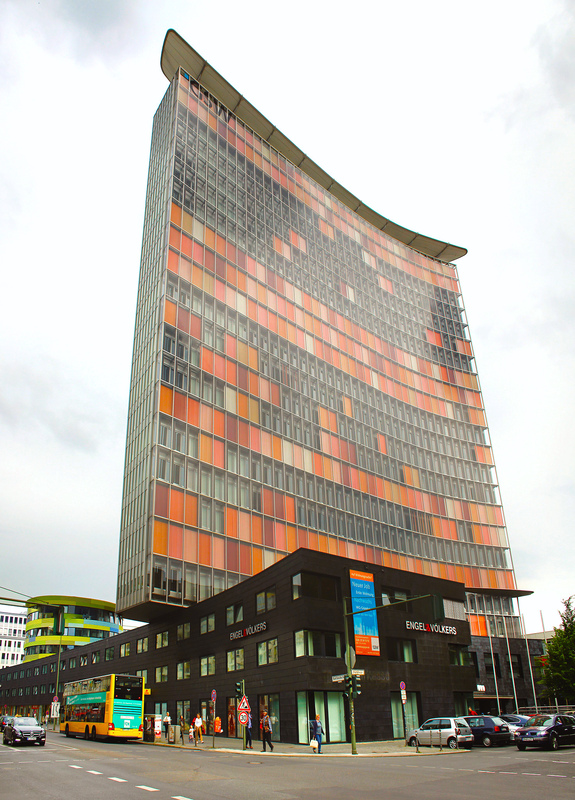 The main façade is a radiant mosaic of reddish-orange sunshade panels on the western side but is completely different to the east, where it is silvery white in colour. The tower is a combination of the distinct spatial configurations of consecutive generations, thereby associating itself with the present and the future. 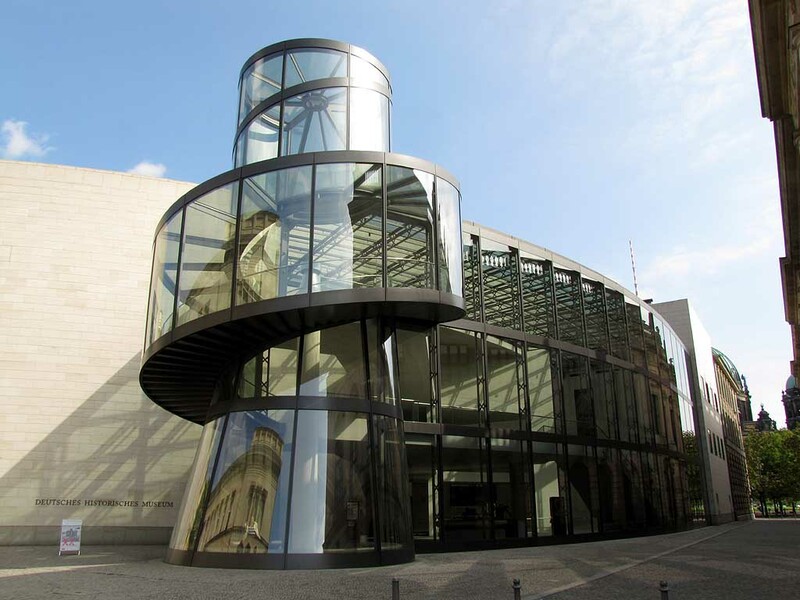 Designed by I.M.Pei, the Exhibition Hall at the German Historical Museum is the newest addition to the sparkling skyline of the city. 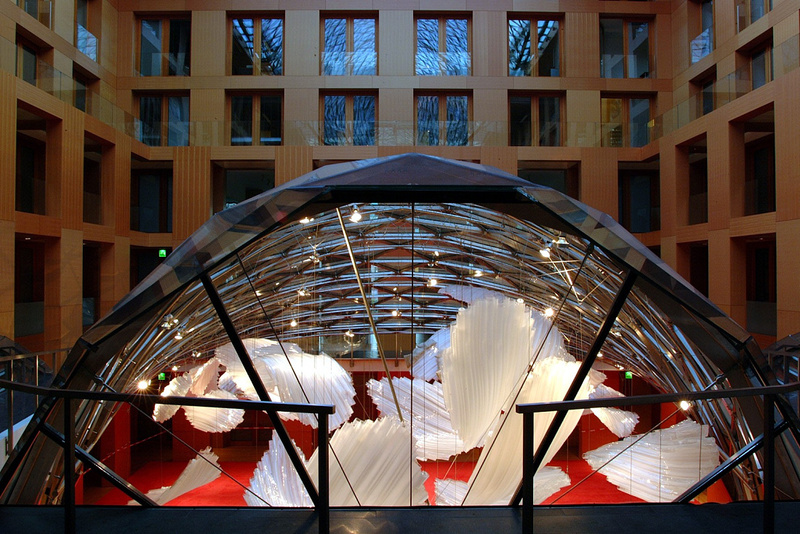 The design of this structure employs basic concepts like transparency, light and movement. 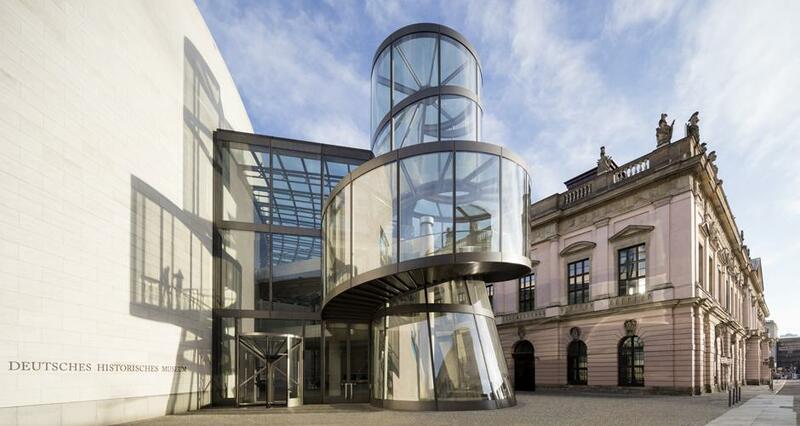 I.M.Pei’s aesthetic sense is clearly executed through a glassed-in foyer that unites the triangular structure with the Zeughaus, which is the original museum building. 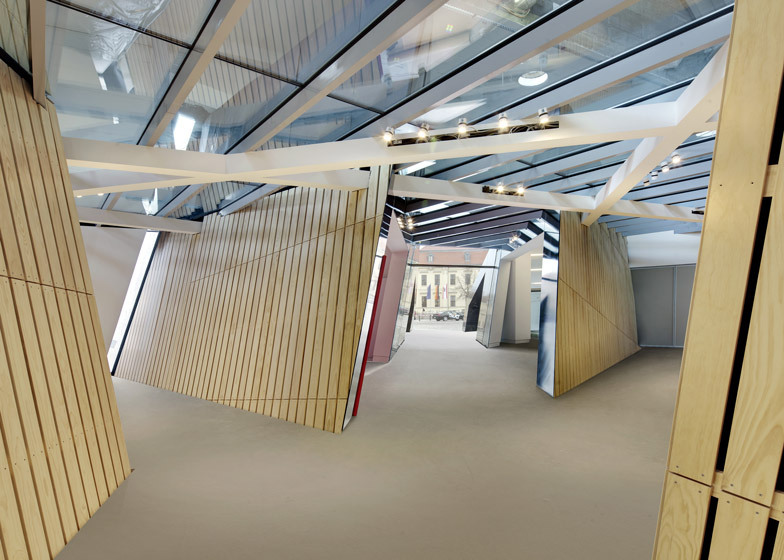 The interior spaces of the Exhibition Hall i.e. the four levels, have been curated to house temporary exhibitions, whilst greeting the user with numerous different views at every step. 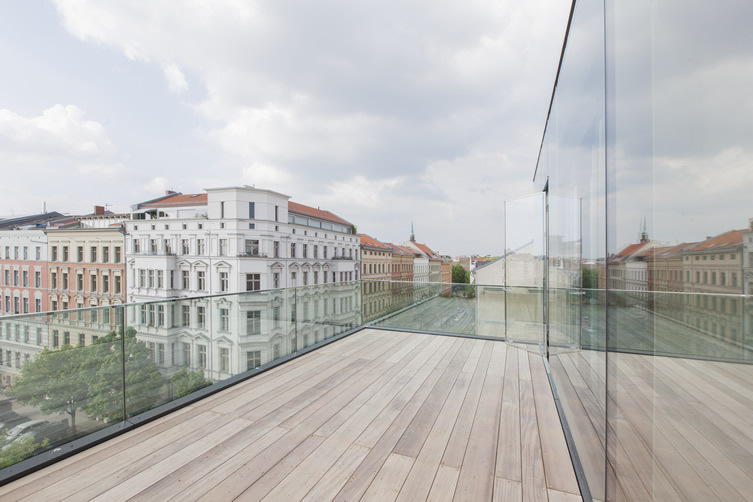 From the outside, the glass wall reflects the historical façades of its surrounding buildings such as its neo-classical member, Zeughaus. 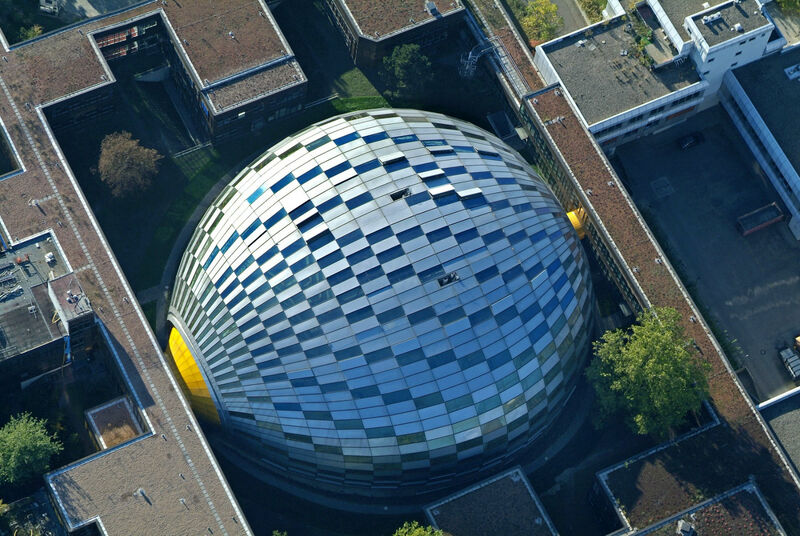 Designed by Foster + Partners, the Philology Library building at the Free University has been nicknamed ‘The Berlin Brain’, and rightly so for its cranial form. 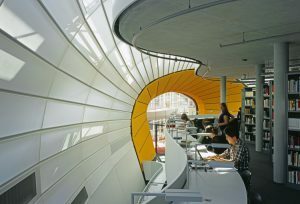 The library is a naturally-ventilated space with a bubble-like enclosure for its skin, where radial geometry forms the base of the supporting tubular steel frame. Foster plays with the materials in an interesting manner as the fabric of the structure uses aluminium and glazed panel cladding, wherein a translucent inner membrane filters daylight whilst the occasional transparent member allows sunlight in. 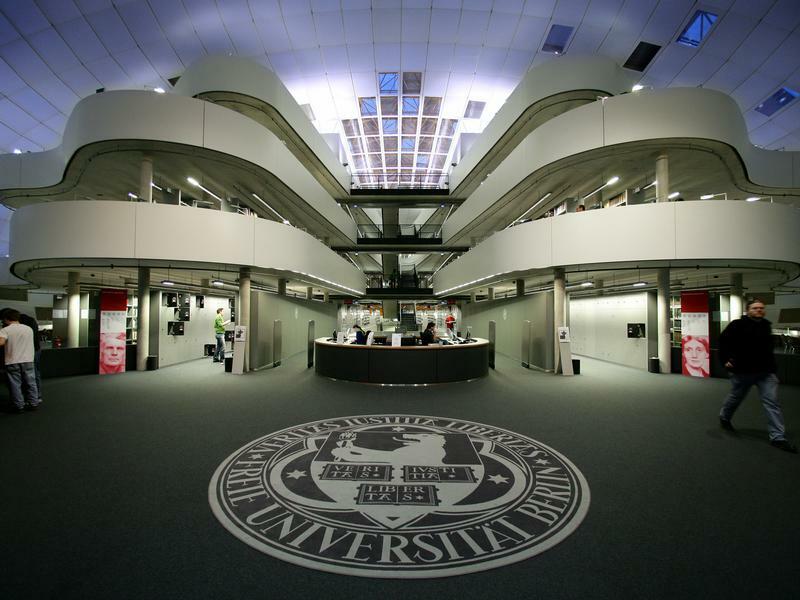 The building consists of four floors, each of which swells and recedes with respect to each other, whilst the plates have evolved into a series of undulating curves, which creates a formal dynamism and spacious double-height mezzanine spaces. 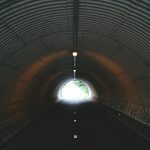 The structure is also naturally ventilated, as the double skin of the enclosure acts as an air duct and thermal buffer, ‘breathing’ by opening and closing different panels. 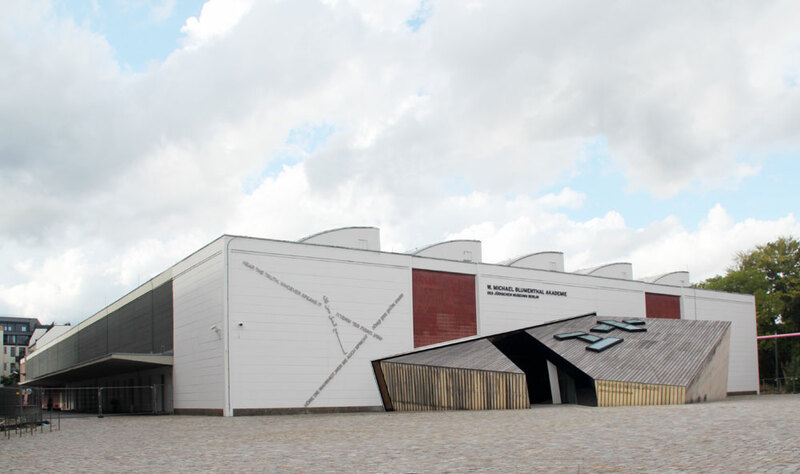 The Academy is a separate extension to the previously existing jagged-shaped museum, both designed by Daniel Libeskind. Jewish symbolism remains a stable factor through the entire Academy complex, inclusive of its uneven forms. 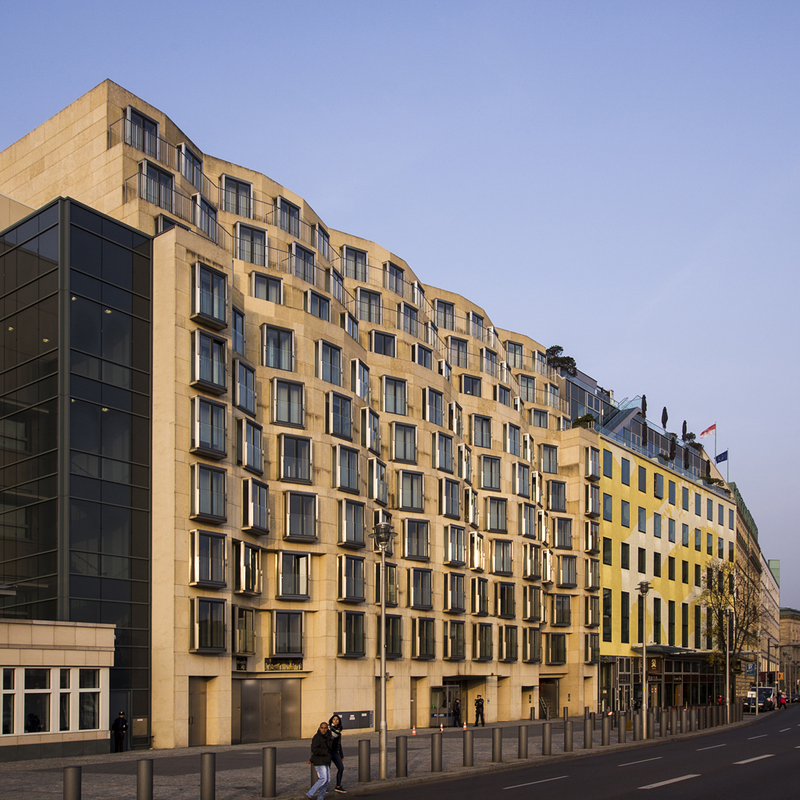 A large downward-sloping cube bursts through the façade, giving the building unusual contours. The entrance of the cube is pierced through by two large skylights, after which the visitor is greeted by the convulsion of two cubes. This thrust gives rise to odd angles and spaces that house the library and the auditorium. Symbolism continues as the movement and interaction suggested by the cubes’ shape and placement and by the seemingly rough-hewn timber used to fabricate them suggest the sort of crates used to transport precious objects, including books. 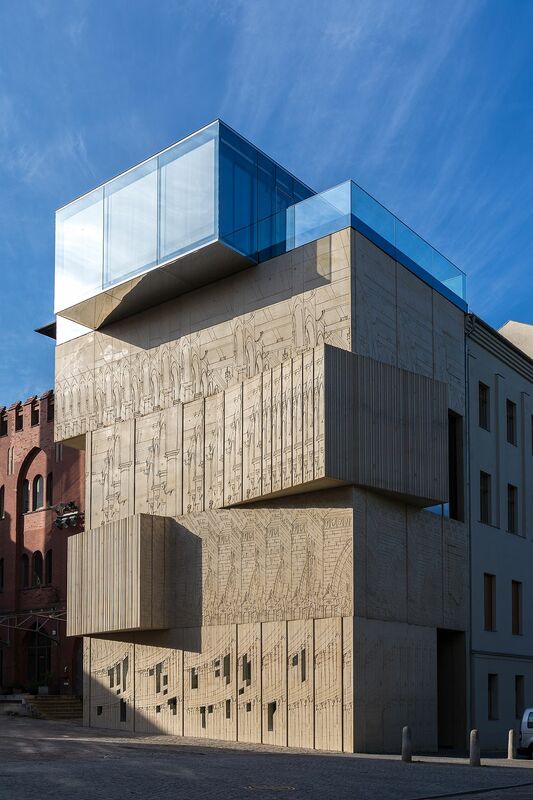 The Museum for Architectural Drawing in Berlin was designed by Russian architects Sergei Tchoban and Sergei Kuznetsov as an attempt to preserve the dying art form of architectural drawing. The building resembles yellow concrete cubes untidily piled on top of one another, creating staggered bays and cantilevers. 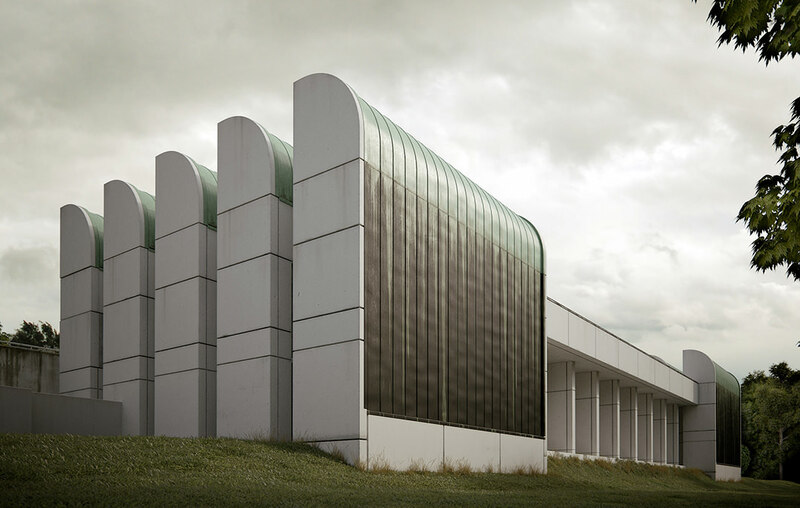 This makes exterior façades interesting, whilst providing more space for exhibitions inside. 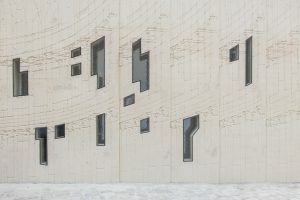 The concrete framework on the façades is adorned with an abstract impression and reliefs of an architectural drawing from the 18th Century. 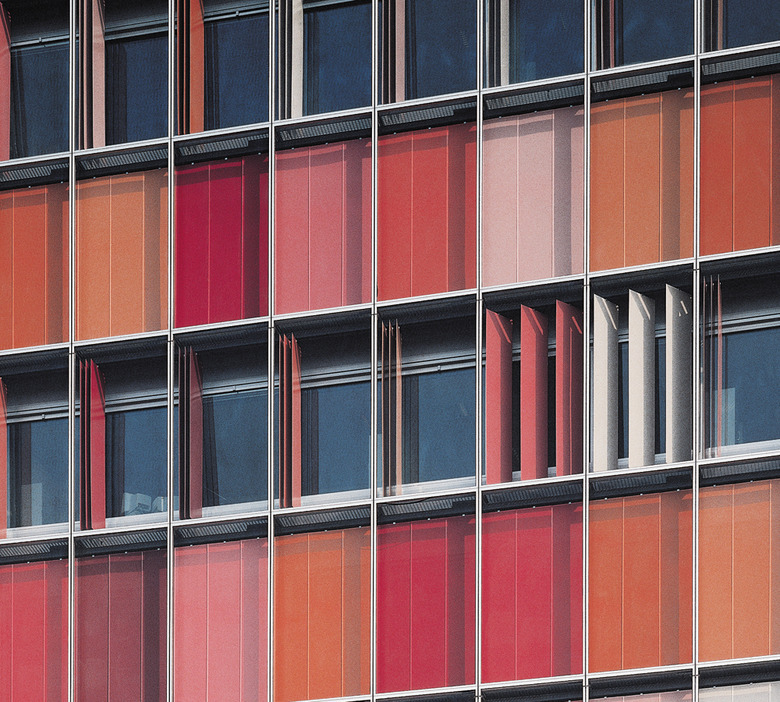 The staggering façades are interjected by different small, jagged windows. 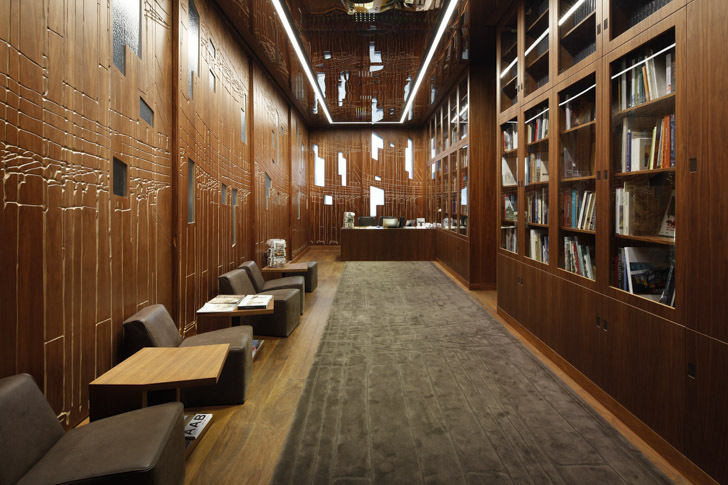 The interior spaces are given an air of ambiguity with dark brown walnut wall panelling, suitable for intimate exhibitions. The concept of the outer façade cubes, with their drawing reliefs, have been explored in a similar for seating inside. The design of the permanent collection section on the 3rd floor differs in its material use and instead employs an all-glass façade. 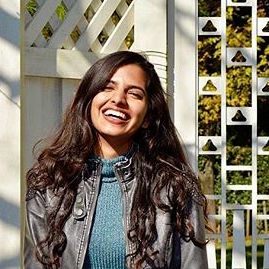 Mahika Kothawade, a 21-year old Mass Comm. 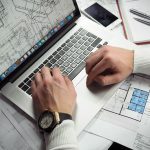 student with a prior 2 years experience in the study of Architecture. She has a drive and fascination for all things fashion, lifestyle and spaces.